AquaKinetic A200 Drinking Water Systems by Kinetico provide an excellent, economical way to improve the taste and purity of your drinking water. 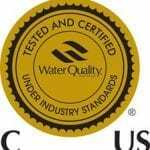 Its three-stage system, including a high-capacity prefilter, high-performance reverse osmosis membrane and carbon postfilter, eliminate a variety of common contaminants from your drinking water. What you’re left with is clean, clear, refreshing water for all your drinking and cooking needs. The small system can be installed under your sink, in a basement, utility room or garage—wherever is most convenient for you. And the AquaKinetic system offers a lead-free faucet to dispense its high-quality water. 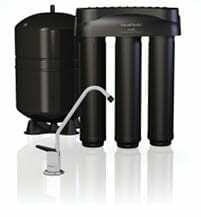 If you need an economical, efficient option for reverse osmosis technology, an AquaKinetic system delivers. Ask us about one.